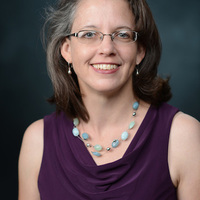 I am an archaeologist who has worked extensively in the Southeastern United States in both academic and cultural resource management settings. I received my Ph.D. in anthropology from the University of Kentucky in 2011, after earning a M.A. degree in anthropology from the University of Georgia and a B.S. degree from Radford University. After receiving my master’s degree, I taught for a year at Appalachian State University in Boone, North Carolina, and then worked at the Florida Museum of Natural History in Gainesville; I also assisted with the University of Georgia excavations of the Mississippian period Lamar Mounds in central Georgia. In 1998 I began a career in cultural resource management, working as a Principal Investigator for The Louis Berger Group and later for Gray & Pape, Inc., in Richmond, Virginia. In 2004 I returned to graduate school to study Mississippian frontier chiefdoms in southwestern Virginia. My dissertation fieldwork was conducted at the fourteenth-century Carter Robinson mound site, and was supported by a National Geographic Exploration Fund grant. In 2013 I received the C.B. Moore Award for Excellence in Archaeology by a Young Scholar from the Southeastern Archaeological Conference. My primary area of research is Mississippian chiefdoms located on the periphery of the Mississippian cultural world. Specifically, I examine the role of craft production in the emergence of inequality within chiefdoms. Methodologically, I do this through the analysis of ceramic vessels and shell bead production items (beads, shell debris and lithic tools), as well as comparisons of domestic structures within and between sites. In addition to my Mississippian Period research I have done research on the Westos, a mid-seventeenth century Northeastern Native American group who initiated Indian slaving in the Southeast. As part of service to the discipline I have also overseen the creation and implementation of the Southeastern Archaeological Conference Sexual Harassment Survey, have served on the Society for American Archaeology Sexual Harassment Survey committee, and serve as a consultant on the National Park Service Sexual Harassment Survey. The following is a list of selected publications. A full list of publications is listed on my cv. 2017. “C. G. Holland: An Archaeological Survey in a Cultural Crossroad.” In Gordon R. Willey Volume on the History of Archeology: Explorers in Space and Time—Examining Archaeologists’ Careers Between 1945 and 1970. University of Alabama Press. 2016. “The House that Trade Built: Exchange Before and After the Collapse of Mississippian Chiefdoms.” In Ronald K. Faulseit (ed. ), Beyond Collapse: Archaeological Perspectives on Resilience, Revitalization, and Transformation in Complex Societies. Southern Illinois University Press. 2015. “The Role of the Southern Appalachian Mississippian Frontier in the Creation and Maintenance of Chiefly Power.” In Ramie Gougeon & Maureen Meyers (eds. 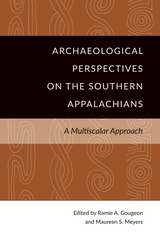 ), Multiscalar Archaeological Perspectives of the Southern Appalachians. University of Tennessee Press. 2014. “Shell Trade: Craft Production at a Fourteenth-Century Mississippian Frontier.” In Tanya Peres (ed. ), Trend and Tradition in Southeastern Zooarchaeology. Newfound Press. 2009. “From Refugees to Slave Traders: The Transformation of the Westo Indians.” In Robbie Ethridge & Sherri Shuck-Hall (eds. ), Mapping the Mississippian Shatter Zone: The Colonial Indian Slave Trade and Regional Instability in the American South. University of Nebraska Press. 2015. Maureen Meyers, Tony Boudreaux, Stephen Carmody, Victoria Dekle, Elizabeth Horton, and Alice Wright. “Preliminary Results of the SEAC Sexual Harassment Survey.” Horizon & Tradition: Southeastern Archaeological Newsletter 57 (1): 19-35.